She also didn't expect for the furniture to arrive with one of its casters broken off. This particular coffee table was just one of hundreds of thousands of items caught up in an extraordinary meltdown at courier TNT, which was badly affected by the NotPetya cyber-attack that hit many companies around the world on 28 June. Businesses in Ukraine were hit hardest, and since many TNT operations and communications are based in the country, a significant proportion of its systems were infiltrated and data encrypted - locking employees out - as a result. "Manual processes" are still being used to put packages through the system, and TNT says it is "reasonably possible" that some information will never be fully recovered. The BBC has spoken to several customers who have had exasperating experiences with the courier, which is owned by FedEx. Small businesses have been affected too - some say they have lost thousands of pounds because of missing or waylaid shipments. And a source close to FedEx and TNT operations in Europe has told the BBC that depots have been pushed to their limit while both companies continue to try to get the backlog of packages under control. Ms Charpentier's table faced the disruption of the cyber-attack after its initial delivery had been delayed because of its size. But when it arrived late to its destination in London following the extended delay, her brother was not expecting the delivery and so was out at the time. The furniture was shipped back to Rome and then sent out again via another courier, DHL. Ms Charpentier still doesn't know who is responsible for the broken leg, but because of the confusion and the fact that the table was sent back to Italy without TNT contacting her first, she says: "I'm still furious at TNT." Total shipping costs were 150 euros (£135), and Ms Charpentier says she might have to spend a further 180 euros to get the furniture repaired. Since the cyber-attack, FedEx itself has been processing large volumes of orders as a contingency, but the BBC understands that this has put a huge strain on the company's infrastructure. A source with knowledge of operations in Europe says that until very recently some depots were finishing the day with tens of thousands of packages still waiting to be processed, instead of just a handful as usual. "They didn't have enough loading units to face this," the source says. "It was crazy." The source adds that some physical hardware - such as conveyor belts - was having to be fixed much more frequently than usual because of the stress caused by increased volumes. And at one point, staff had to use WhatsApp Messenger for internal communications as company email was inaccessible, the source adds. The sheer range of customers affected by the breakdown in operations at TNT is staggering - some were left distraught as critical supplies were held up in transit. "We have urgent air freight stuck at Stansted [airport]," wrote one woman on the courier's Facebook page, "medical equipment required in theatres." In another case, TNT narrowly missed depriving a bride of her dress on her wedding day, according to the staff at Dolly Blue Bridal Studios in Shrewsbury. "It was just a complete nightmare," says Adele Nortcliffe. After many calls to trace missing deliveries, TNT eventually sent an overnight courier to deliver the dress. "We got a dress on the Thursday and the wedding was on the Saturday," Ms Nortcliffe adds. Others haven't been so lucky. Mark Hammersley runs Staffordshire Wrought Iron, a small business that makes gates and other metal fittings. "We lost £900 on Monday," he says, describing how customers who are unable to track orders - a side-effect of the IT issues - have been able to claim refunds via PayPal but also keep their items if they do arrive. Despite having used TNT for six years, Mr Hammersley says he is now planning to switch couriers. The list of cases goes on. One student told the BBC that after their computer had broken they ordered new memory to fix it so they could finish an assignment on time. When it was delayed, they had had to borrow a friend's laptop to meet the deadline. And one man waited a month for a shower screen that was supposed to arrive within five days - it materialised only after a series of poorly co-ordinated delivery attempts. "[I'm still waiting for a full explanation of how they got it all so wrong," he says. It's nearly a month and a half since NotPetya struck, but TNT has still not recovered operations. The last update from the company was published on 17 July. It said all TNT depots, hubs and facilities were operational, but added: "Customers are still experiencing widespread service and invoicing delays, and manual processes are being used to facilitate a significant portion of TNT operations and customer service functions. "We cannot estimate when TNT services will be fully restored." A spokesman for an online cycling retailer told the BBC it was shipping freight beyond Europe via another courier, as TNT had said only deliveries within the EU could be processed. 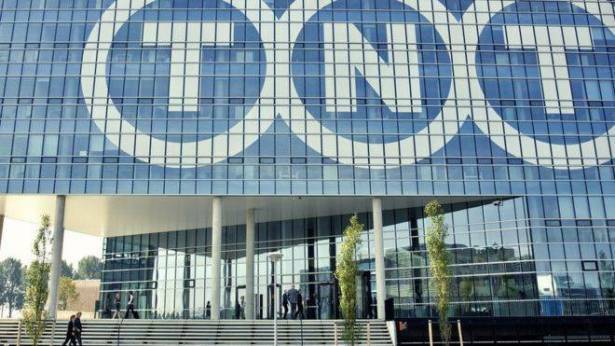 After the BBC contacted TNT for comment on 7 August, the company sent through some lines copied almost verbatim from its 17 July notice, adding: "We cannot express strongly enough how much we appreciate our customers' patience and understanding through this period."